Another milestone moment here. I recall sometime in my early high school years, hearing the opening sound to “Runnin’ with the Devil” perhaps at a friend’s house, on the radio or at a local music store. It wasn’t too long after that, when I decided to purchase the album – on 8-Track – and began playing it non-stop. 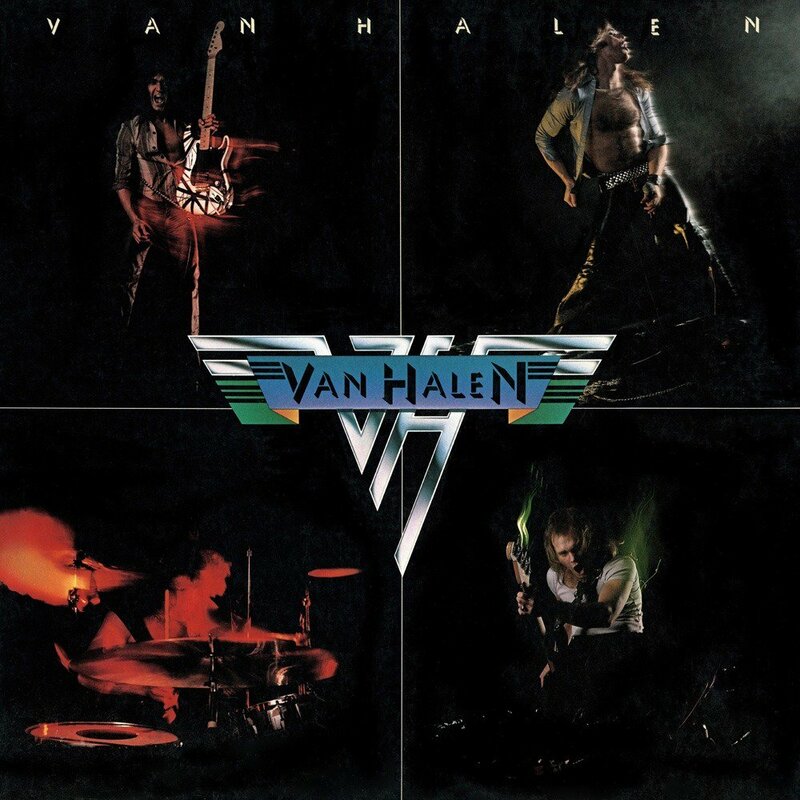 This was mine, and many others, introduction to the Pasadena, CA band Van Halen, 40 years ago this last week. There wasn’t a single song on this debut album that sucked or that I felt needed to be skipped when played. “Eruption” was the song that every kid that wanted to learn the guitar, tried to master, and mostly getting it right. That wasn’t me, but I knew enough kids back around the time that instantly wanted to be Eddie Van Halen – hero worship and all. My repeated listens to this album always noted David Lee Roth’s yell/scream, which I always thought it sounded like someone was stepping on his foot really hard. The Kinks cover “You Really Got Me” was as faithful to the original, adding the raw and expert guitar work that EVH could only provide to this classic 60’s song. Years later, I ended up using the song “Ice Cream Man” in a Scooter Sunday episode. And while that’s a great cover song, it’s not my favorite on this album. That honor belongs to “Feel Your Love Tonight” with it’s clever lyrics, “we’re getting funny in the back of my car/I’m sorry honey if I took you just a little too far.” Over the years, I ended up owning this album on vinyl, cassette and CD (ripped to digital), the 8-Track long having been lost or not playable anymore. I still play this album every so often. It’s on at least a few of the playlists that I keep on my iPods and iPhone. It does quite well at standing the test of time and still being very relevant, even when it’s been more than five years since the last time we’ve heard anything new from the Van Halen offspring. When was your first time hearing this album? Any favorite song? Comment below. HOLY CRAP FORTY?!?!?! That album is standing the test of time! I agree that every song ROCKS. Love me some Van Halen. I have very fond memories of Ice Cream Man from childhood (obviously not understanding the lyrics). 40? Damn! “Feel Your Love Tonight” was a fave of mine as well. But my guitar instructional was “Runnin’ with the Devil.” My instructor taught me this song to hammer down power chords. That’s cool you played Runnin’ With The Devil on guitar. Great memories. Ain’t Talkin’ Bout Love my fave. Agreed that it’s a solid album from start to finish. Oddly I only got into VH on their 5150 album. So my exposure to the DLR era came second. For me, that was a close second for my album favorite. It”s hard to pick a favorite from that initial David Lee Roth era of Van Halen albums — Eddie Van Halen was blazing new trails at that time with every song and every riff. But, like so many people, I can remember hearing the album for the first time and right from the moment that “Runnin” With the Devil” came on, I was blown away. The whole album is full of so many moments that you”re just scratching your head going, “How did they do that? Yeah, that opening had a great and lasting effect for many.